Feeling Foxy! 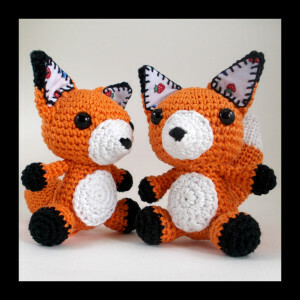 A New Crochet Fox Pattern is Available! Wow! So much has happened over the last week that I thought it was best to take a moment and record it all for gratitude’s sake. First up, I have a new fox pattern available to buy. You can download it direct from this site, just click onto the patterns tab and press buy now. This will take you to Ravelry’s secure site where the PDF will come to you as an instant download. If you prefer to buy on Etsy or Folksy, you can go right ahead and do that too. It seems a little unbelievable that I am here. I have thought about writing patterns for years but never found the confidence and managed to talk myself out of it. And so the pattern notes grew and they sat untouched on a shelf whilst I got on with my all the other things that life threw at me. Last week I decided that enough was enough and it was time to start following my dreams. I was working in my day job and as a series of minor irritations grew to the point of making me seriously miserable, I decided that I had to do something about it. So I dusted off my fox crochet pattern notes and tested them and them tested them again, and typed them up. 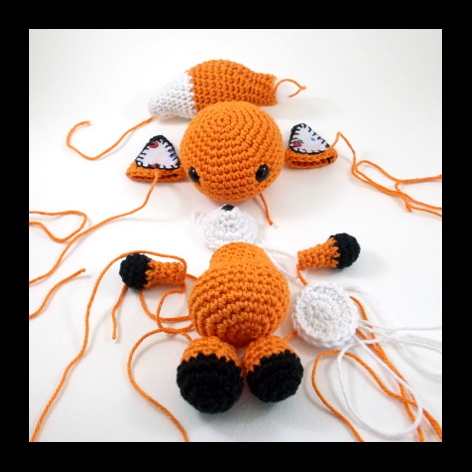 And then I took lots of pictures to help people sew their ami together and then, before I knew it, I had a completed fox crochet pattern! Hurrah! I then started sending the photos out into the world and the response I got overwhelmed me. So many people loved the cute little fellow. People wanted to make him. People starting following me on my social networks. 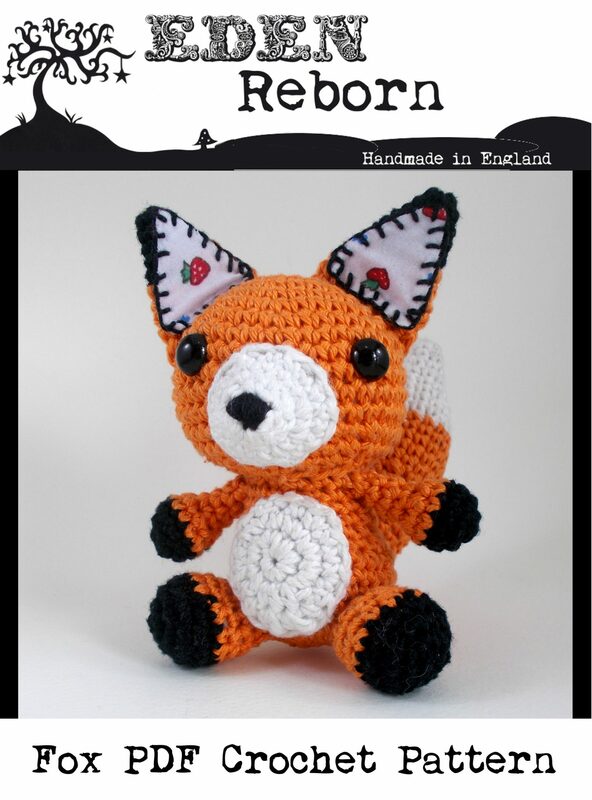 I wanted to thank them for all their support and encouragement so I decided to give away a limited amount of people And now my little crochet fox pattern is being made in places as far flung as the USA and Spain and New Zealand. Crazy really. Even more so considering that all this has happened in a week! I guess it just goes to show that hope can be found even in your darkest moments and there is always something to be grateful for, even if some days you have to look a little harder to find it. Now I have a whole crochet amigurumi army planned to unleash upon the world! I plan on keep giving away a limited amount of my patterns on their release so if you want one be sure to follow me (social media buttons are on the top of this page) and keep your eyes peeled. Thank you everyone for your support in the last week. It is very much appreciated and I am truly grateful. Posted in amigurumi, Buy Now Patterns, Crochet and tagged Amigurumi, Crochet, Fox Love, Patterns, Toys, tutorial, Woodland. Awwwwww, I love your cute fox. And I’ve already bookmarked your previous post about the magnetic snaps- I’ve always wondered how to do those…!